Chili peppers are ripening, and it's time to harvest the seeds. Some tips to harvest and store chili seeds. 1. 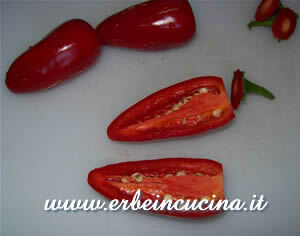 Choose ripe pods: seeds from unripe pods will not sprout. Cut the chilies in half. 2. Use gloves, or fork and knife to handle chili seeds, don't use your hands. 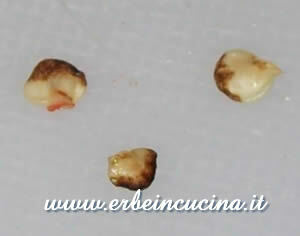 Separate carefully the seeds from the placenta. 3. 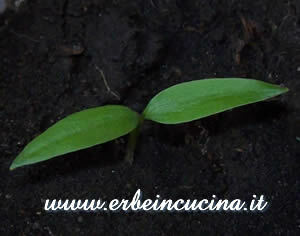 Discard any seed that looks dark or damaged. 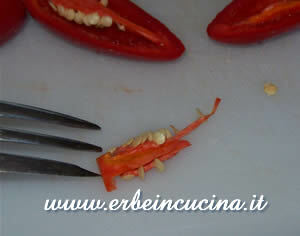 Be careful: every Capsicum Pubescens Pepper like Rocoto or the Hyperpube in the picture, have black, hard seeds. Don't discard these seeds because of the color! 4. 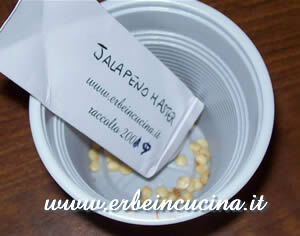 Put the seeds in a glass or bowl and put a label on it: chili seeds are very similar. Let dry for a couple of days or even a week, then store them in paper or plastig bags. In the picture you can see a sporigami, paper bags without glue. It's a long work, but next year you'll find that it was worth every bit of effort.